La Reloba Cigars are a pleasant addition to the Don Pepin Garcia family. The La Reloba possesses a smooth, medium-bodied profile with earthy, peppery, and sweet notes, rounded out by a spicy finish. 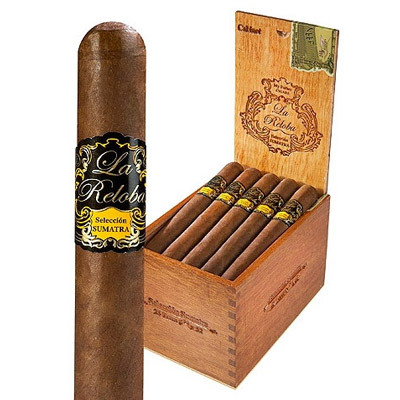 La Reloba Habano: features a dark brown Nicaraguan Habano wrapper and an aged blend of Nicaraguan tobaccos. La Reloba Mexican: comes packed with well aged Nicaraguan tobaccos, covered in a great tasting Mexican wrapper.